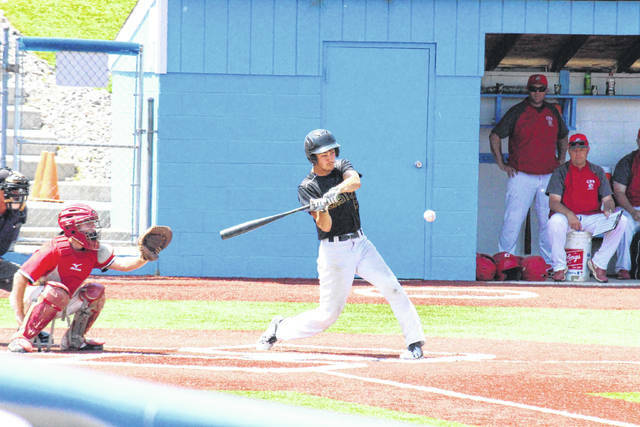 Ethen Richmond rips a two-run double with two outs in the third inning of the Eagles’ five-run victory in the Division IV regional semifinal on Thursday in Lancaster, Ohio. Eastern senior Josh Brewer throws in from centerfield, during the Eagles’ 8-3 victory over Centerburg on Thursday in Lancaster, Ohio. LANCASTER, Ohio — Elite Eagles. 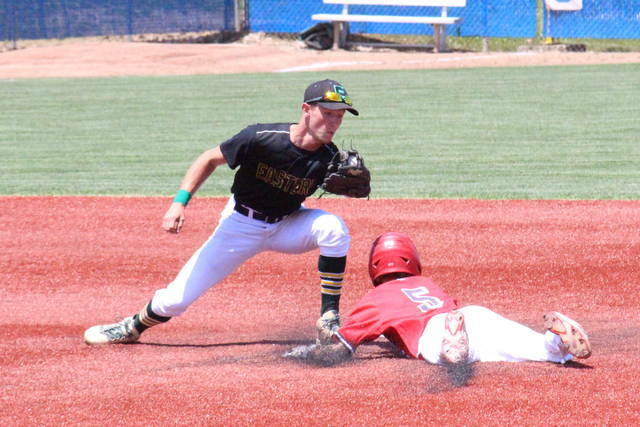 The Eastern baseball team is headed to its first-ever Elite Eight after defeating Centerburg by an 8-3 margin in the Division IV, Region 15 semifinal on Thursday at Beavers Field in Fairfield County. 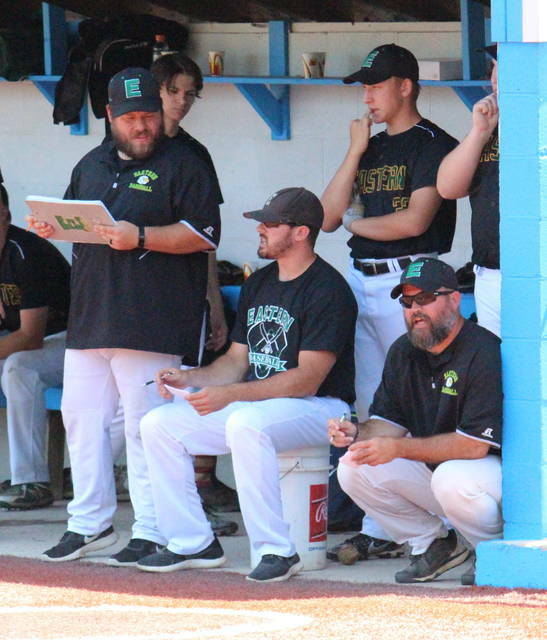 Eastern (27-2) —which came up empty in its first 10 chances in the regional round — will return to Beavers Field on Friday at 5 p.m. to face the winner of Whiteoak and Toronto. Following the Sweet 16 victory, EHS head coach Brian Bowen — who has led the Eagles to the regional round in seven of his 18 seasons — noted how special it was to have this group for another day. Eastern struggled in the early going, being held without a hit the first time through the batting order. 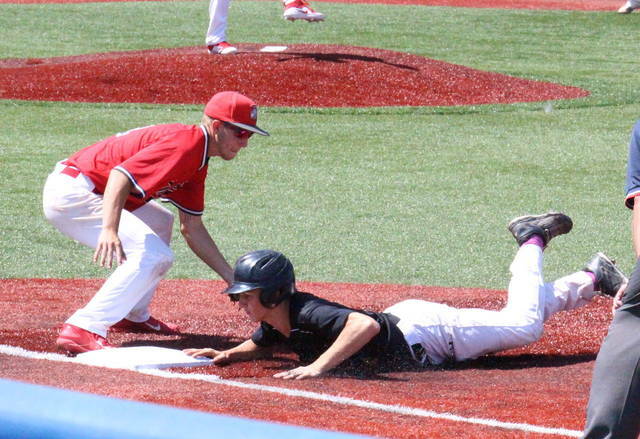 Centerburg (18-9) — competing in its first-ever regional tournament— broke the scoreless tie with one out in the bottom of the first inning, as Jackson Goulter singled home Brenden Christy. With two outs in the frame, Coady Wright drove in Goulter, giving the Trojans a 2-0 lead. CHS — which has made a habit of scoring early in the postseason— was held off the board for the next four frames, however, reaching scoring position twice in that span. The Eagles broke-up the no-hitter with two outs in the top of the third inning, as Christian Mattox hit a single up the middle. After a walk issued to Matthew Blanchard, the Eagles got on the board for the first time as Austin Coleman singled home Mattox. EHS senior Ethen Richmond doubled home Blanchard and Coleman to give Eastern a 3-2 lead, and then Richmond and Kaleb Hill both scored on an error, giving the Eagles a 5-2 edge. The Green, White and Gold stranded a runner on first in the top of the fourth, but added on to their advantage in the fifth. Eastern junior Nate Durst singled home Richmond and Hill with no outs in the frame, making it a five-run advantage. With two outs in the fifth, Mattox legged-out an infield single, allowing Colton Reynolds to score from second and stretching the Eagle lead to 8-2. After stranding two runners in the bottom of the fifth inning, the Trojans paid Eastern back in the top of the sixth, as two Eagles were left stranded. 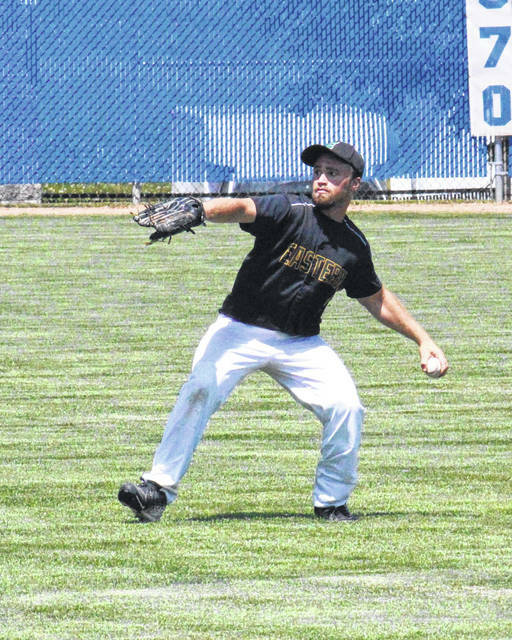 Centerburg scored for the final time this season in the bottom of the sixth inning, as Trey Purdy singled to lead off the frame and wound up scoring on a wild pitch. EHS left a runner in scoring position in the top of the seventh, but it didn’t matter, as the Eagles slammed the door shut on the 8-3 win by retiring the Trojans in order in the bottom of the frame. “The kids came out with a good mindset,” Bowen said. “I think they were a little bit uptight early on, but the second time through the order they settled in. They were excited to compete and go attack the baseball. We put some hits together there and scored some runs. Richmond earned the pitching victory for EHS, striking out five batters, while allowing three runs, two earned, on eight hits and a walk. Mattox pitched a perfect seventh for the victors, striking out two of the three batters that he faced. Goulter — a southpaw — suffered the in four innings for CHS, allowing seven runs, five earned, on five hits, three walks and a hit batter. Christy finished the game for the Trojans, allowing one unearned run on three hits and two walks. Goulter struck out five batters, while Christy fanned two. Leading EHS at the plate, Hill was 2-for-4 with a double and two runs scored, Coleman was 2-for-4 with a run and an RBI, while Mattox was 2-for-5 with a run and an RBI. Hill, Coleman and Mattox each had a stolen base in the win. Richmond doubled once, scored twice and drove in two runs to help his own cause, Durst singled once and plated two runs, while Reynolds scored once. Centerburg was led by Christy, who was 2-for-4 with a double and a run, and Wright was was 2-for-3 with an RBI. Both teams committed three errors in the contest. Eastern stranded nine runners on base, four more than Centerburg.